Geometry Problem 48: Angle, Triangle, Congruence, Geometric Art: Hyperbolic Kaleidoscope of problem 48 using Mobile Apps. In the figure, AB = BC, AC = AD, mÐD = 30°, mÐBAD = 5a, and mÐDAC = 2a. 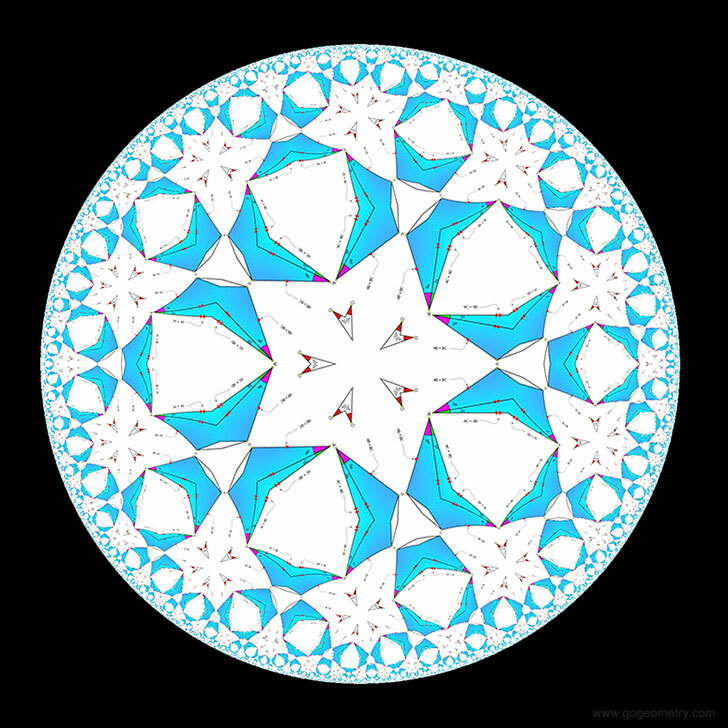 Find the measure of angle C.
Geometric Art: Hyperbolic Kaleidoscope of problem 48 using Mobile Apps.